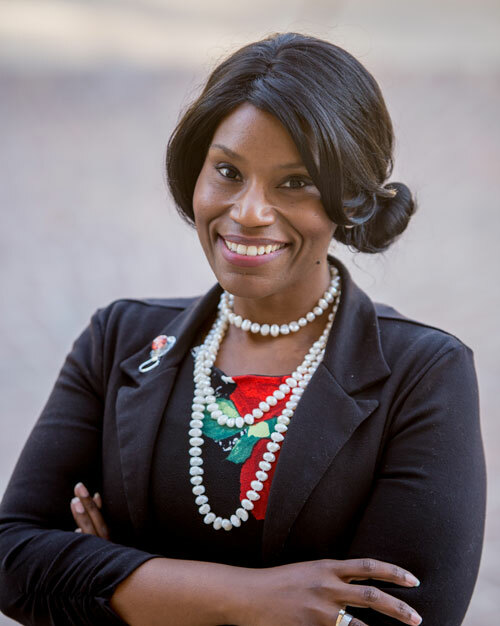 Following months of interviews with qualified candidates from across the country, Southern Utah University has announced Dr. Schvalla Rivera as the new Assistant to the President for Diversity and Inclusion. Previously, Rivera was the Dean of Students at Western Nebraska Community College, and is equipped with a diverse professional portfolio. The Assistant to the President for Diversity and Inclusion is a new position developed to implement diversity and equity opportunities across all aspects on campus. Rivera will function as a subject matter expert on institutional diversity and inclusion as it relates to governance, administrative policies, and federal and state regulations. Other responsibilities include working with Enrollment Management to recruit and admit students with diverse backgrounds, collaborating with Human Resources to identify and hire a diverse pool of applicants and institute ongoing diversity trainings for new and current employees and develop community outreach strategies that focus on building positive relationships between the community and underrepresented populations. “I am thrilled that Schvalla has agreed to join our team and very much look forward to working closely with her to further refine and improve our campus climate, culture, and overall experience,” said Vice President for Student Affairs Dr. Jared Tippets. Rivera earned both her M.S. in Political Science and Ph.D. in Curriculum and Instruction with specialization in teaching, learning, and leadership from Indiana State University. She is certified in both psychological first aid and Title IX and Civil Rights Investigators. She is also a Certified Diversity Executive, which comes from at least five years of progressive work experience in the field of diversity or HR. While SUU has some faculty and staff members from different racial and ethnic backgrounds, there are currently no African American or Native American faculty members, and only one Latino faculty member outside of those who teach languages. At the same time, students of color have grown to more than 10% of the student body as a whole. Rivera hopes to change that by creating a welcoming environment in which diversity is respected with the goal to help recruit and retain diverse students, faculty, administrators and staff. Rivera describes herself as a visionary, energetic, creative problem solver who is a critical thinking leader with 10 years of experience and a diverse work history which includes; training development and delivery, diversity and inclusion initiatives, team building/leadership, project management, mediation, counseling and community building.